LMAOBOX finally detected by Valve's anti-cheat software. 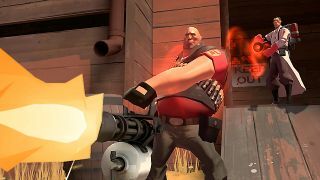 LMAOBOX is a program designed to allow players to cheat at Team Fortress 2, for instance by adding automatic aiming or removing weapon recoil. Somehow – until now at least – it's managed to pass under the radar of Valve's VAC (Valve Anti-Cheat) technology, but LMAOBOX has finally been detected, despite claims on the website that it was VAC-proof. And with the detection, comes a wave of VAC bans. It's not clear exactly how many people have been affected, but it includes nearly 170 professional players in the TF2 UGC league. Here's a full list of the competitive players affected, in a Google doc seemingly sent to the players themselves. PCGamesN has a good write-up of proceedings, but a few more details have come to light since publication. While the developer of LMAOBOX apparently stated that they would now quit the project and make the source code public, a moderator of this Reddit thread reckons that post was made by someone else, and that the (fake) code provided was riddled with malware. Others have disputed claims that the bans are backdated to anyone who has used LMAOBOX in the previous two years, suggesting it has only hit players who have used it in the last two weeks instead.